Since graduating from Slippery Rock University with a Masters of Science Degree in Park and Resource Management and his Masters of Education in Environmental Education in 2014, he has spent four years teaching environmental education at the Aspen Center for Environmental Studies. During this time, Dustin has devoted much of his time to learning more about the ecology of the Rocky Mountains, while educating youth about environmental responsibility and the overall balance of natural communities. Originally from a small town in Ohio, Dustin graduated from Ohio University with a B.S. in Outdoor Recreation and Education, a B.S. in Wildlife and Conservation Biology, and a Certificate in Environmental Studies. 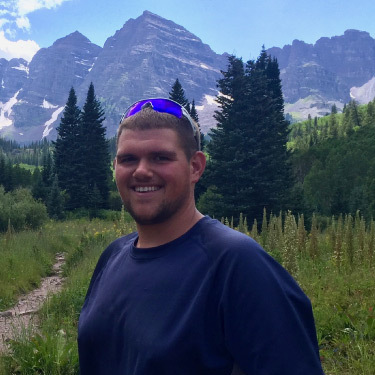 Professionally, Dustin has also served as a Sustainability Education Graduate Assistant, a ski instructor, and an Interpretation Park Ranger for the Youth Program Division at Zion National Park. In his free time, Dustin enjoys participating in a variety of outdoor activities including camping, hiking, playing disc golf, and skiing. While at Walking Mountains, Dustin is excited to continue teaching, especially hands-on renewable energy and snow science lessons. Dustin also hopes to bring his love of Gnomes to his summer camp programs.